Customer Picture Number 216 Selected. Cool Car decals applied. 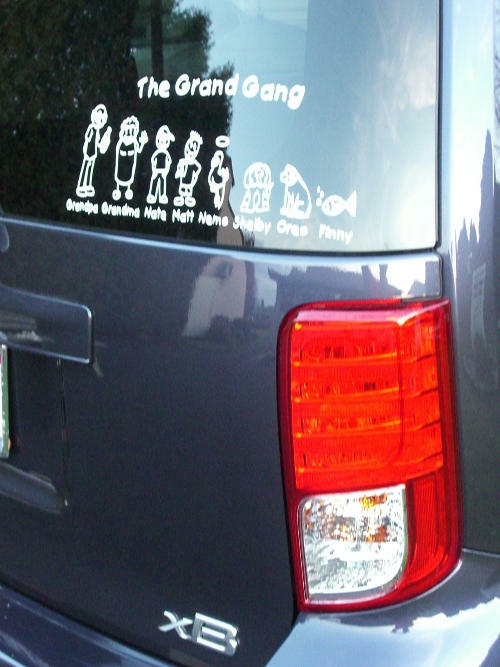 Custom family sticker in white vinyl.